Our guest today is Laura Watkinson, an award-winning translator of both children’s books and books for adults. Laura translates works from Dutch, Italian, and German into English, and she has worked with EBYR on numerous projects, including Soldier Bear, The War within These Walls, Jesus, and Mikis and the Donkey. Watkinson’s translation of Mikis and the Donkey won this year’s Batchelder Award for the most outstanding translated children’s book. Soldier Bear also won the award in 2012, and The War within These Walls was a Batchelder Honor Book in 2014. What drew you to Mikis and the Donkey? Why were you interested in translating it? Well, it’s a great little book, and I love both the author and the illustrator. I translated Soldier Bear for Eerdmans, which was also written by Bibi Dumon Tak and illustrated by Philip Hopman, and I was really pleased to have the opportunity to work with them again. Philip Hopman’s illustrations are the perfect match for Bibi’s story, and they’ve both been a delight to work with, as has the team at Eerdmans. Bibi specializes in writing warm and affectionate books about animals, subtly incorporating messages about how we should care for animals. Like Bibi, I’m an animal lover, and I really enjoy the way she combines facts and story, creating great characters, both animal and human. I love how Mikis relates to Tsaki the donkey and teaches his grandfather an important lesson: Tsaki is a living creature, not a machine, and she needs love and attention. It’s also great to see such a depiction of a very close and loving relationship between these different generations and how young people are sometimes able to give their elders a new perspective on life. Mikis’s grandfather is nice, but old-fashioned, and it takes young Mikis to show him how he should treat animals. So, there was a lot about this story that appealed to me. I enjoyed helping to tell the tale to young readers in the US, in a story that traveled from Greece to Amsterdam, and then all the way to Grand Rapids, Michigan. What makes Mikis and the Donkey a valuable contribution to children’s literature in English? Not only is it a lovely, entertaining story about a young boy and his friends, but it also contains important messages about relationships between the generations and about animal welfare. 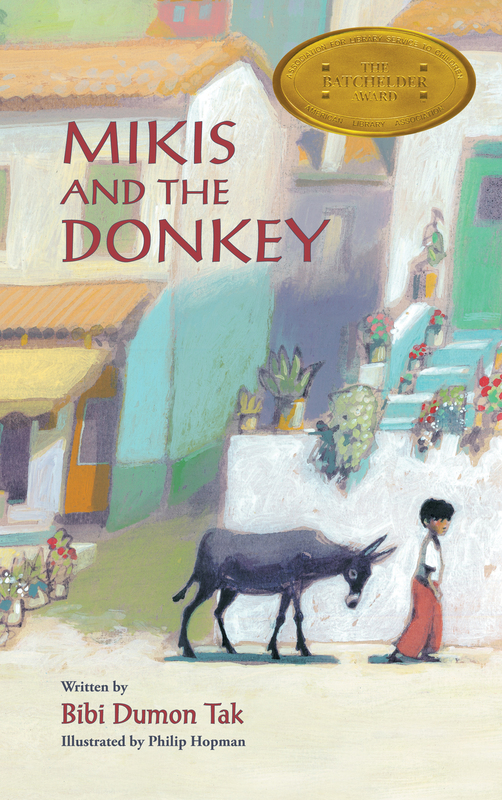 Mikis and the Donkey offers young readers an interesting insight into a culture that they may not have encountered before and gives them a glimpse of a little Greek boy’s life at home and at school. What challenges did you face in translating Mikis and the Donkey? Any book brings its own challenges, but Mikis and the Donkey was certainly a very smooth read in the original Dutch. I aimed to maintain Bibi’s gentle humor and lightness of touch and to make the characters just as appealing to readers in the US as their Dutch-language counterparts are to readers in the Netherlands. What was your favorite sentence to translate from Mikis and the Donkey? I really liked all the fun donkey names that Mikis tries out with Tsaki, and the repeated sentence about Mikis rushing through the village “up the narrow alleyways, left, right, up and up, past the house with a thousand flowers, around the corner, past the giant cactus, up the steps, through the doorway . . .” Phew. Just typing it makes me puff and pant! If you had to summarize Mikis and the Donkey in ten words or fewer, what would those words be? Young boy and donkey teach Grandfather an important life lesson. Can you describe the new book for us in verse — perhaps using a haiku, limerick, ballad, or other favorite poetic form? Who carried too much on her backie. Her friend said “No more! Um, maybe I should just stick to story books . . . I tend to have a pile of books on the go at one time. At this time of year, I’m usually preparing for the children’s book fair in Bologna, Italy, which means reading through some of the latest releases from the Netherlands and, in some cases, translating publicity material. So I’ve been looking at some great picture books, such as On Your Bike, written by Joukje Akveld and illustrated by Philip Hopman, who also illustrated Mikis. I think it’s some of Philip’s best work. I’m also in the middle of Peter S. Beagle’s The Last Unicorn, which I’ve been meaning to read for a very long time and am enjoying immensely. What were your favorite books when you were a young reader? I always thought that no one else had heard of my favorite book as a child, Elizabeth Goudge’s The Little White Horse. My mom won a copy at Sunday school when she was a little girl. When I was old enough, she told me I should read it, too. I adored that book and I still reread it every couple of years or so. It was always my secret little pleasure. 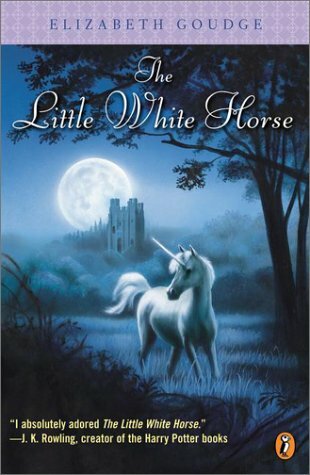 Then, a few years ago, a certain Joanne Rowling mentioned that The Little White Horse was one of her favorite stories, too, and since then it’s been reprinted and reprinted. I envy anyone who gets to read the book for the first time and who doesn’t know quite how things are going to turn out. Even though I know the story inside out, it’s always a wonderful and magical book to reread. Some of my other favorites as a girl were What Katy Did, Jane Eyre, and Little Women, all absolute classics. I love the way some writers can make you feel really indignant on behalf of their characters. I still remember that burning need for justice that I felt as a young reader, as I identified so strongly with the characters. It’s two a.m. and you can’t sleep. What book do you reach for to while away the early morning hours? Whatever’s on the bedside avalanche. Seriously, I’d be ashamed to let anyone see the heap of books by the side of my bed. It’s where I do most of my reading, and the books I’ve read pile up alongside the to-be-read stacks. We have some great bookstores in Amsterdam, including a discount English-language bookstore, and I often come home with bags full of books, all of which make it to the bedside mountain at some point. Imagine you’re at the book talk of your dreams. Who’s the author? What’s the book? I love any author who’s really enthusiastic about their craft and their characters and who can convey that to the audience. Mind you, I was at the World Fantasy Convention a couple of years ago, when Neil Gaiman was in conversation with Susan Cooper, and Joanne Harris took part in various events. That’s pretty much a fantasy line-up for me. Or Pat Rothfuss, giving a reading of absolutely anything. That man has an incredible imagination and such an amazing reading voice. How did you get your start translating children’s books? I started by translating publicity material and sample pages for publishers and for the Dutch Foundation for Literature to take to the children’s book fair in Bologna. Arthur A. Levine picked up one of the samples and eventually published the whole book as Heartsinger by Karlijn Stoffels, edited by Cheryl Klein. You translate books originally in Dutch, Italian, and German. What drew you to these languages? I’ve always enjoyed learning languages. My mom had a dictionary with French phrases in the back and I used to copy them out and try to pronounce them even before I started studying languages at school. I went on to do languages and literature at university and then lived in Germany for four years and Milan, Italy, for a year. Since 2003, I’ve been living in the Netherlands. As I’ve really enjoyed living in different places, I think a lot of my motivation for language learning must have come from my interest in other countries and cultures. What are you doing when you’re not reading, translating, or answering questions for Eerdlings? What? There’s more to life than reading and writing? Well, I suppose sometimes I read and translate in different places: the bath, a local café, on vacation . . . I think perhaps it’s more a case of what else I do while I’m reading and writing. What’s the best advice you can give to aspiring translators? There’s the good old “Read, read, read!” Reading’s always fun, but it’s essential for translators to read widely in the genres that they translate. That’s important for any writer, of course, but as a translator you’re also a mimic, writing in someone else’s style as well as your own, so you need to remind yourself of other voices. It can be good, as well, to compare originals and their translations and to see what kind of neat tricks other translators use. I’d also say that it’s a fine idea to join organizations like the SCBWI, where you can meet other children’s writers, illustrators, and translators, who can be a great source of tips and support. The SCBWI has recently set up a group for children’s translators, led by Avery Udagawa, which I hope will lead to even more great books in translation. Finally, keep in touch with other professionals and maintain an online presence. As a freelancer, your network really matters. More translation. And more traveling. I’m going to Madrid for a few days next month and then I’m off on a road trip from Colorado to Oregon in the summer, taking in the Telluride Bluegrass Festival on the way. In October I’m hoping to be at the USBBY conference in New York, talking about translation. I feel that there’s a real desire out there to publish great children’s books in translation and to introduce new voices and cultures to the US market, and I’m so thankful for the work I’ve been able to do with Eerdmans. Learn more about Laura Watkinson on her website, and click here to order Mikis and the Donkey, winner of the 2015 Batchelder Award.